Drive a responsive and spacious new car in the form of the Toyota Camry, an ever-popular mid-size sedan that offers an impressive array of standard safety technologies. 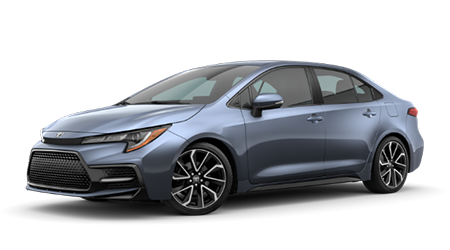 Get into an affordable new Toyota Corolla to experience Toyota's latest cabin technologies at a driver-friendly price. Explore the new Corolla lineup today! The latest iteration of Toyota's top-selling SUV is now available at Dan Hecht Toyota. Find your new Toyota RAV4 5-passenger SUV with a test drive. Enjoy three rows of roomy seating for your family and friends when you take the wheel of a new Toyota Highlander SUV, the family SUV packed with safety tech! 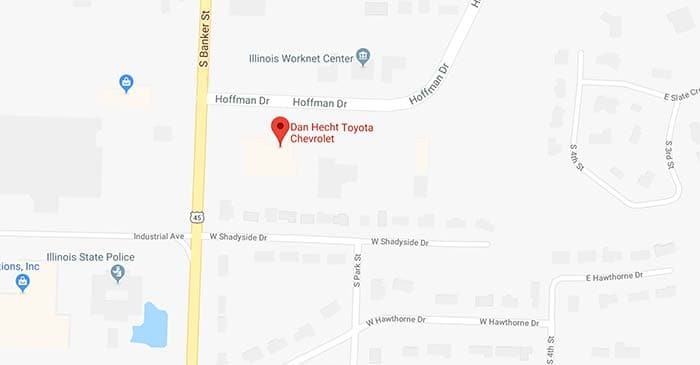 Welcome to the online home of Dan Hecht Toyota, a new and used Toyota dealership in Effingham, Illinois that proudly caters to all drivers from nearby Decatur, IL and well beyond. Here, you'll find an extensive array of the very latest Toyota vehicles available, including the sporty new Toyota RAV4. Whether you are after a new Toyota or a pre-owned one, our sales and finance staff is here to make your shopping experience a pleasure. Talk to our finance specialists about our variety of auto loan packages and apply for Toyota financing today. 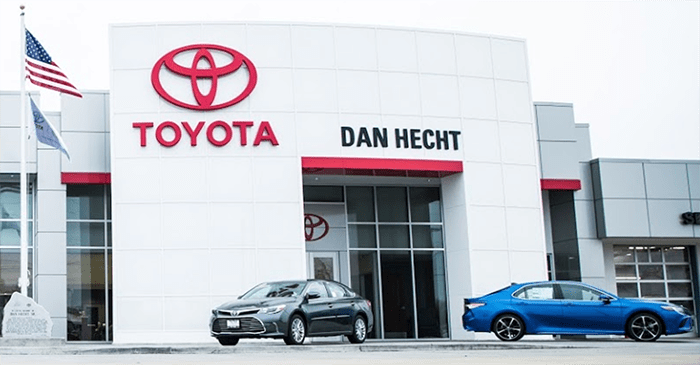 From quality new and used cars for sale to professional maintenance for your Toyota, the Dan Hecht Toyota team is here for your every automotive need. Don't hesitate to reach out to our Toyota specialists at (217) 342-4111 today! Why Buy at Dan Hecht Toyota? When you shop or service at Dan Hecht Toyota, you'll enjoy our unwavering commitment to providing quality service and affordable prices for our customers. Stop by our showroom and customer lounge and stay a while, where you can partake in free Wi-Fi and refreshments as we service your car or you shop for a new one! The entire lineup of new Toyota cars, SUVs and pickup trucks are here at Dan Hecht Toyota for you to explore. 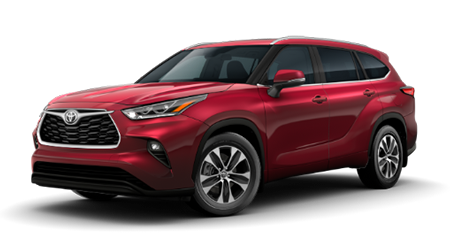 Whether you begin your new Toyota search on our website or by visiting our dealership lot in Effingham, IL, you'll discover your Toyota model of choice offered in a variety of colors, trims and configurations. See the new Toyota Corolla and Camry sedans or opt for a roomy new Highlander SUV; either way, you can expect competitive pricing on your new Toyota! Contact our sales associates today for assistance in your new Toyota search. 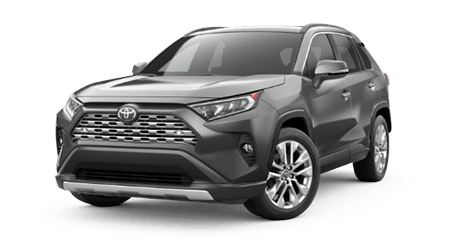 Toyota vehicles certainly make for great used cars, so whether you are shopping for a late-model Toyota RAV4 or a used Tacoma, you can find a quality selection here. Plus, with our collection of Toyota Certified Used Vehicles (TCUV) backed by an updated factory warranty, you can enjoy added peace of mind when buying a used car! Begin searching our used vehicle inventory now to find a pre-owned version of that Toyota or other make of car, SUV or truck you are after. We offer a convenient car finder form as well, so fill one out to alert our sales team. Becoming a proud owner of a new or pre-owned Toyota is simple when you shop and finance at Dan Hecht Toyota. Car buyers from throughout the Champaign and Edwardsville, IL areas can find auto loan solutions at our dealership, so why not apply for Toyota financing today? Our finance department works with local and national lenders to secure competitive loan rates for our valued customers. If you are car shopping from nearby Decatur, IL and have a less than perfect credit history, then know that we offer alternative financing packages for used car buyers. Turn to the Toyota service professionals at Dan Hecht Toyota for any future maintenance needs on your Camry or RAV4. We are dedicated to automotive service excellence and employ Toyota factory-trained and ASE Certified technicians. We invite you to schedule a service visit at our Effingham, IL service center today. With our competitive service specials and use of genuine Toyota parts, you can rest assured that your upcoming brake service or oil change will be affordable and performed to meet factory specifications. Decatur, IL area Toyota drivers can always turn to our parts department for new replacement parts like filters and lighting, as well as genuine Toyota accessories. When you select authentic Toyota parts, you are treating your vehicle to components that are specifically designed and engineered to offer peak performance. Contact our Toyota parts specialists in Effingham, IL today or use our Toyota parts request form here on our website to find the quality auto parts you are after! Starting your new Toyota or used car search on our website is easy. See our current new and used car specials and view the latest Toyota finance and lease offers as you consider your vehicle options. You can also get a quick vehicle appraisal of your trade-in before you arrive at our dealership for a test drive. We welcome you to research the latest Toyota models or explore our automotive services now. Then, visit us from nearby Champaign or Edwardsville, IL and speak with our sales, finance, service or parts staff.